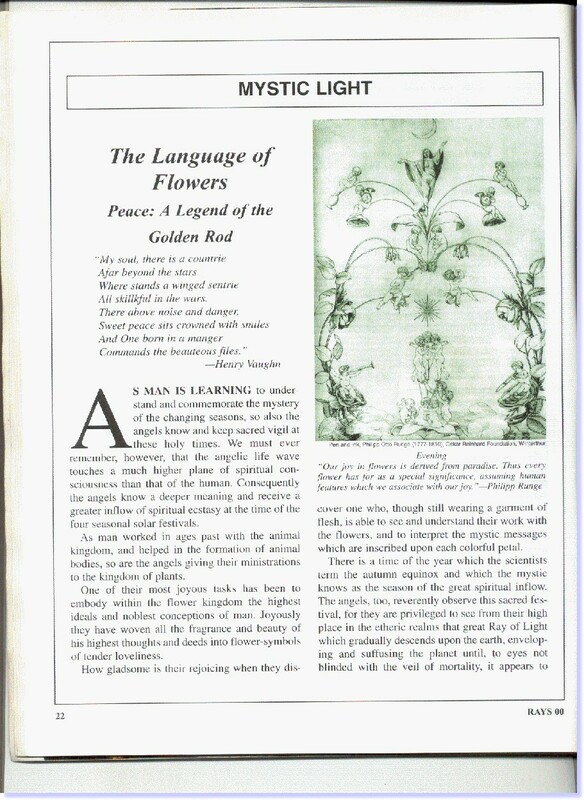 RAYS FROM THE ROSE CROSS is a Rosicrucian Online Magazine created and supported by Students of the Rosicrucian Teachings and dedicated to promote Rosicrucian Teachings and related subjects through selected articles, poetry and essays from "RAYS FROM THE ROSE CROSS, The Rosicrucian Fellowship Magazine ", established by Max Heindel in June, 1913. It is related to The Rosicrucian Fellowship but not formally affiliated with it. It is not an official website of The Rosicrucian Fellowship .